Lifecare Business(LC) | SHIP HEALTHCARE HOLDINGS, INC. In light of the fact that one in three Japanese citizens will soon be aged 65 or older, the SHIP Healthcare group's Lifecare Business establishes and operates nursing care homes and group homes. Working in collaboration with medical institutions and leveraging our expertise in hospital development, our group provides high-quality, high value-added services throughout Japan, and currently operates a large number of facilities. Our group also operates power rehabilitation facilities for senior citizens. Based on the philosophy that good nutrition is essential for good health, our group provides food services to large medical institutions and welfare/nursing care facilities. 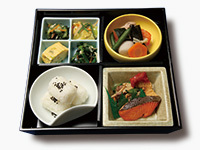 Our group sells and home-delivers low-salt packed lunches that are the result of our experience in running health food restaurants and our participation in a joint research project with the National Cerebral and Cardiovascular Center. Green Life Sendai is a private residential nursing care home housing 300 residents in a 53m high building with total floor space of 20,000㎡. 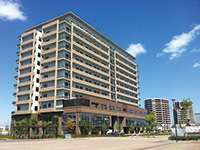 The facility helps improve the quality of community healthcare in the area affected by the Tohoku earthquake of 2011. The complex it is located in features a six-department medical mall, rehabilitation facility, dispensing pharmacy, daycare center and visiting nursing center. 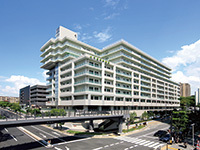 Welhouse Senrichuo is Japan’s first large-scale healthcare complex. It combines a hospital (with 400 beds) run by a medical corporation with a pay nursing care home (housing 200 residents), run by the SHIP Healthcare group. The complex also features a health food restaurant incorporating advice from nutritionists and dispensing pharmacy.